In the risk of sounding like a broken record, Guided By Voices are back. Motivational Jumpsuit, which came out on Tuesday, is the fifth record from the band since they reunited a couple of years ago (with a handful of Robert Pollard solo albums sprinkled in their for flavour). The strangest part of volume of releases is that they are pretty darn good. Sure, Pollard and company could probably have made one or two masterpiece records if they didn't want to throw everything out there, but releasing nearly a hundred tracks in less than two years, they really haven't stiffed the listener with anything crappy. The album's opening cut, "The Littlest League Possible", packs a wallop and is arguably the band's most raucous tune since their return. "Planet Score" follows suit. There's a very forceful bottom end to "Child Activist". On top of having a great title, "Vote For Me Dummy" is also a true rock anthem. The group is at their lo-fi best on "Save the Company", a track that uses, ahem, minimal production values. We do get a surprise with "Jupiter Spin" and "Calling Up Washington". The uncharacteristically restrained tunes are remarkably melodic by GBV standards. They hit power pop territory with "Record Level Love". All of that said, it's the ever-so-slightly wonky "I Am Columbus" that leaves the deepest lasting impression. 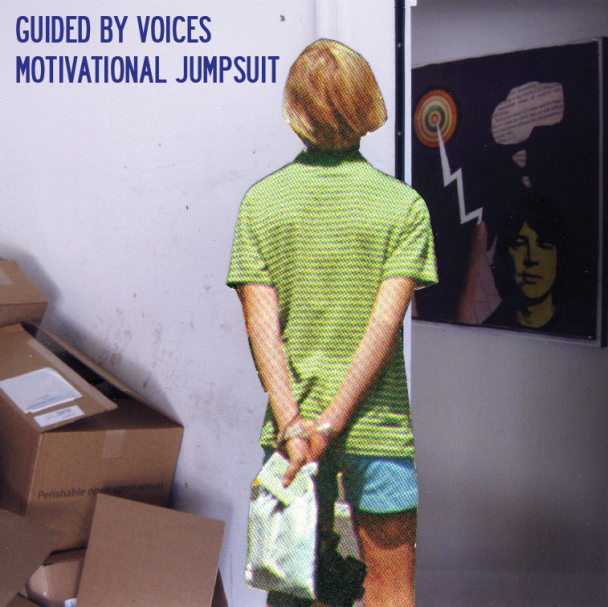 With Motivational Jumpsuit Guided By Voices have once again defied the odds. They simply can't keep on releasing this many songs and not put out a stinker...or can they? Best tracks: "Jupiter Spin", "I Am Columbus"